Last Day on Earth: Survival is a game that truly captures the essence of what it is like to survive a zombie apocalypse. Or at least, not being a victim in the tough times just before the world is taken over by big, bad zombies, literally speaking. The game not only taps into your fighting tactics but it also focuses on your wits and imagination. In order to get from one place to another, you also have to call on lady luck. To help your chances even further, you have to learn all the basics and essentials of lasting more than a day, in these rough times. Read on to find out exactly how to get ahead of the pack! Gathering and crafting are arguably two of the most important aspects of playing the game. Your first order of business should be to craft a hatchet and a pixie. These are the two tools you need to gather and collect everything else. You need enough loot and supplies to get you by. Therefore, check out the nearby trash for some loot. Also, collect pine logs and limestone as they will come in handy when you are building a shelter. Pillage your environment for all that it is worth and find everything possible. When gathering supplies, also consider sticks, grass, and rocks. This is also a sure way to level up your character. Craft a backpack and a small box that will help you store everything that you will collect. Do not forget to craft a garden bed and rain catcher too as these will keep you fed and watered. Gather as many resources as possible. After all, the rest of the world will still be in existence when you survive. Your home may not be the most comfortable place on earth but staying inside it is a vital way of surviving the enemies. In order to build a dependable housing structure, use wood and stone. Remember to include a window and door for added protection. When playing Last Day on Earth: Survival, a door can only be destroyed by C4 explosives. Therefore, it is a sure bet or surviving against your attackers. When building your 3×3 home, you will need to put in the logs, floors, and walls. These items are up for purchase, therefore, be sure to buy only what is required. The game also makes it possible for you to make your home truly yours. You can unlock a campfire and garden bed that will make you more comfortable. In order to go around successfully, carefully look at each place that you can go to. Every location will offer a bit of insight into what you should expect, how many enemies you will encounter and the resources that will be at your disposal. Last Day on Earth Survival is a game that requires all players to think a couple of steps ahead and make sure they use the items at their disposal well. Found a gun? That is great! Do not use it. Save it when a horde is coming at you or you are in dire need of it. Always stay in the green areas until you get a variety of great weapons. Be a smart explorer! When you play the game on your phone or Download Last Day on Earth: Survival for PC, as a player, you should aim to get to level 10. Granted, you can get to other levels but this is good as you will find. At level 10, you will be able to craft armor that will help you in surviving for a longer time. Yes, you may die a couple of times before you get here but with the right kind of patience, you will get here promise! In your quest for survival, you will be expected to fight off against all kinds of dangers. Therefore, it is important to master combat. Use the crouch button at the bottom right corner to conduct sneak attacks on your enemy. Ensure that you also have the right kind of melee weapons. Guns are obviously safer as they are a great way to warn your enemies that you are around. In order to be a smart player, you have to keep an eye out for the points of interest. For instance, there are times when there is army supply drop that disappears after a certain amount of time. When you pick them up, you will be able to get some loot that will better your gameplay. As these supplies are time-limited, they will disappear after a certain amount of time. Therefore, you need to get to them when they still exist. Also, keep an eye out for military bases. These points of interest do not expire. However, to fully explore them, you need to find a security key card that will give you access to them. These cards can be typically acquired by dead zombies. Make sure that you often look through the mini-map. Not only will you remain on the right path but you will also have a glimpse of the red blip that is headed your way. This will make you aware of any fast biters that may be nearby. Unlike zombies, these characters mean a lot of trouble and they can destroy you within seconds. 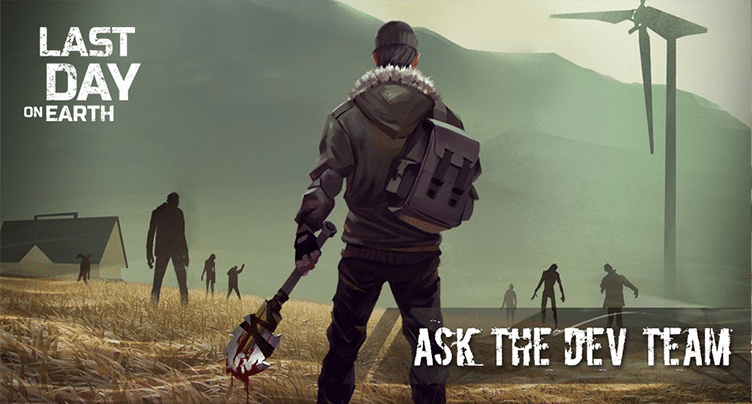 While your jacket has many pockets that will help you carry a variety of items around, you can also explore the pine bushes to get clothing items Like SWAT Gear or even raid the corpses and get what they are wearing carry, isn’t it? This is what makes the game very interesting. That is all for the Last Day on Earth: Survival basics. With these tips and tricks, you can be certain that you will be miles ahead of your competitors. The game will be more engaging and offer the fun and entertaining aspects that you are looking for.